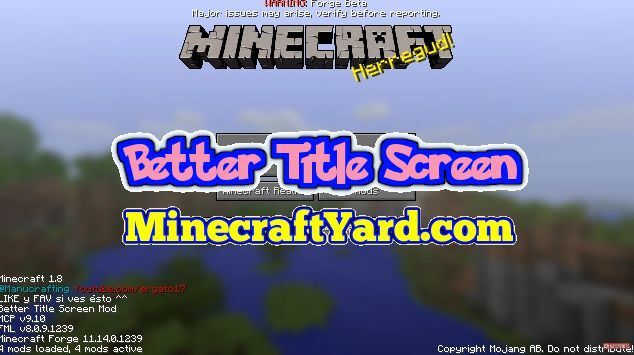 Better Title Screen 1.13.2/1.12.2/1.11.2/1.10.2 for Minecraft. Girafi is the master mind behind this marvellous creation. 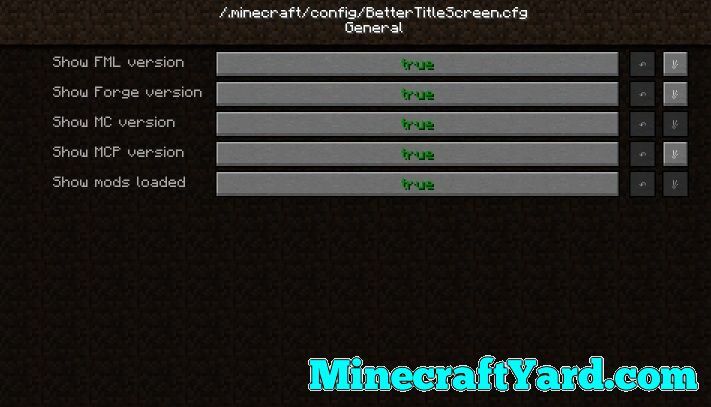 Usually the Minecraft title screen contains less significant information on it. 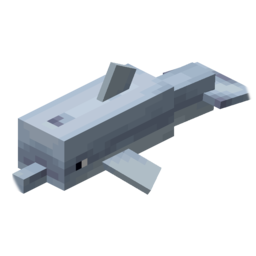 But through adding this tool you can have important information before the start of the gameplay. 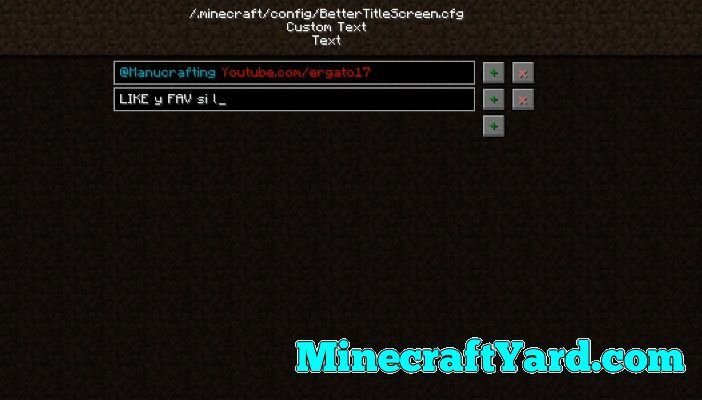 It also provide options to write text which you want to display. 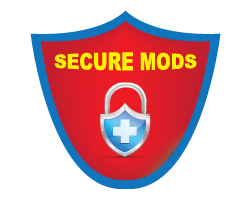 Furthermore this modification includes coloured text along with the information of the mods which are loaded. Moreover it also allows you to turn off the information from the configuration option. There is a sample screen on this page which will guide you how to perform that action. Similarly this tool is available for the latest version so have fun using it. There has been few key points on which we were working. One of them is ensuring that a player will get the most secure content with any irritating advertisements. 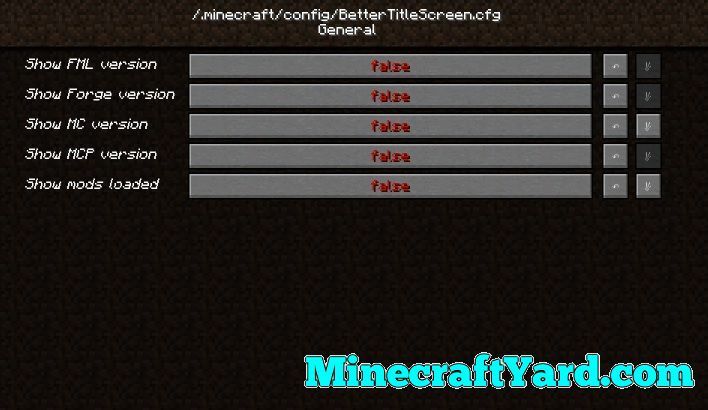 Second of them is the legit mods which were released officially by the developers and we make sure that we mention their name and the source as well. Thirdly we always try to improve with the passage of time and thats why we need your precious suggestions in order to improve ourself. 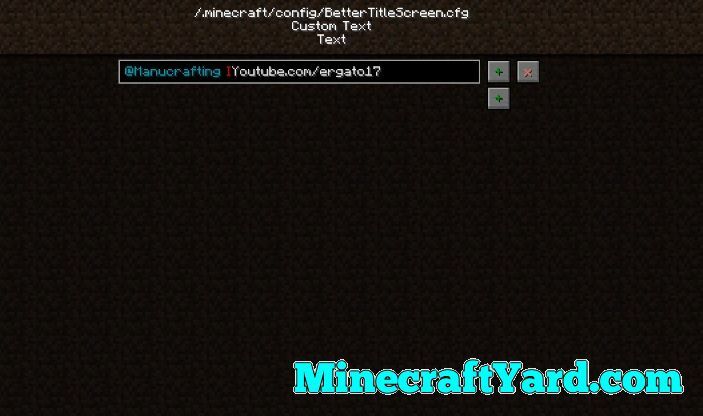 So please share you thoughts through comment box and don’t forget to comeback here to check the latest updates of Minecraft.